what do your balance sheet objectives look like when you are talking to a customer today? Our consulting services uncover fresh insight into where & how competitive differentiation creates value for your customers together with the execution behaviours and the right client outcomes required to deliver both short term business results as well as longer term balance sheet goals. Our pipeline integrity service uses twisted thinking’s f.a.c.t. system to recalibrate opportunities against 24, evidenced customer behaviours, to provide critical execution behaviours to improve deal outcomes and significantly improve forecasting. The most advanced field assessment & coaching tool available today. f.a.c.t. is a fully customisable application that integrates learning, competency assessment, field execution and deal coaching into a single tool. Unlike other tools, f.a.c.t. assesses & coaches execution behaviours and opportunity coaching using evidence based outcomes to determine proficiency. f.a.c.t. identifies the specific gaps for each individual and provides front line managers with what they need to have real, meaningful conversations that drive measurable performance improvement. twisted thinking offer training workshops and facilitation services in the areas of competitive strategy & alignment, sales management, coaching as well as customer focus groups. 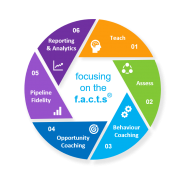 twisted thinking’s “coach-the-coach” program for sales managers extends the workshop teaching into the field by working with sales managers to develop a robust management system and coaching best practice – for both behaviour and opportunity coaching. twisted thinking – delivering real, meaningful & measurable outcomes. Unlike other consulting firms, twisted thinking starts with your customers and how they buy. This outside-in view forms the foundation of everything we do. Capturing your customer’s behaviours (and evidence) insures our solutions aren’t simply a cut-and-paste of what we have done for other clients, but rather properly aligned to create differentiated go-to-market strategy & execution capability. From defining roles & competencies, determining performance standards & measuring performance, aligning management systems & processes, creating marketing collateral or identifying & delivering development programs, twisted thinking’s solutions use customer driven evidence of behaviour & outcomes to define “what does good look like”.